Flag each segment of the trip as business or personal when Auto-Tracking is enabled and accurately track distance driven. Smart sensors track when your employee’s vehicle is in motion to capture distance from their mobile device. 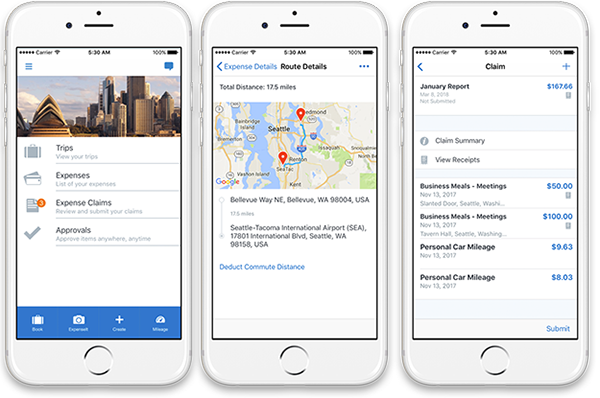 Turn mileage logs into expense line items in Concur Expense with one click. Enable Auto-Tracking to automatically capture driving distance or manually start and stop distance capture per trip. Concur Drive displays 12 languages supported by SAP Concur and measures distance in miles and kilometers, so you can use it on virtually any trip.